I haven’t worked in awhile due to all the travelling, and a series of unfortunate events which included gastroenteritis (more commonly known as stomach flu). But I have a duty to correct what I said in a previous post. In essence I commented that the cheesecake was pretty meh to me, but after giving it a try again I think C&C’s cheesecake beats any other cheesecake I’ve had outside! 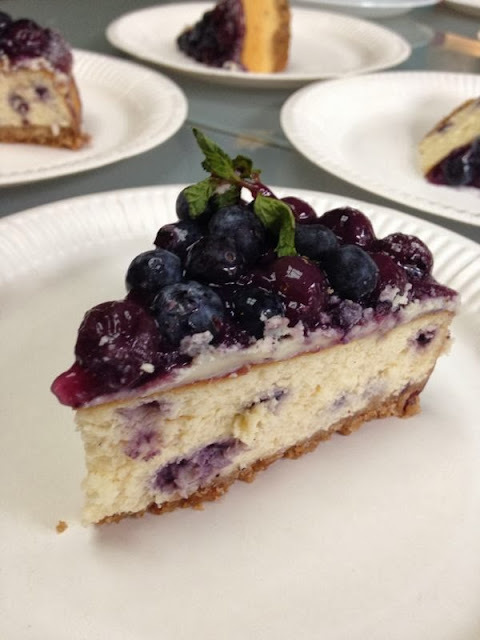 Dorie greenspan’s cheesecake recipe rocks but if you really can’t find the time to do it C&C serves up an awesome version with a beautiful presentation to boot. 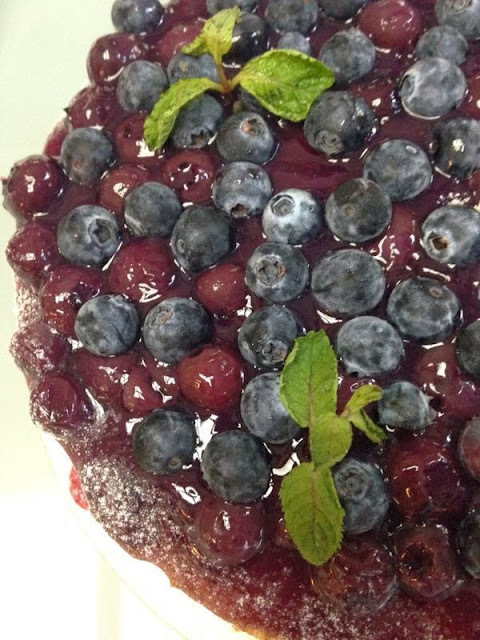 Obviously there were blueberries in every bite. They were done three ways: incorporated into the cheesecake, as a coulis, and in its beautiful natural form. The base was slightly soggy but there is honestly no way to prevent this, unless you make a thicker crust (Dorie Greenspan’s recipe was like that) such that only the top bit is soggy. Highly recommended for all cheesecake fans. And if you like salted caramel, you’ll love the salted caramel walnut version. I’m pretty fond of this too. Bought this as a whole cake. It was beautiful (and heavy)!